Developers on mobile advertising platform StartApp can now buy graphics for their mobile apps, including app icons and user interface designs, from Fiverr, the Task Rabbit-rivaling startup that serves as a microtask marketplace for people to buy and sell services starting from $5. This comes as the two companies inked a partnership to help developers tap on the freelance community present on Fiverr. 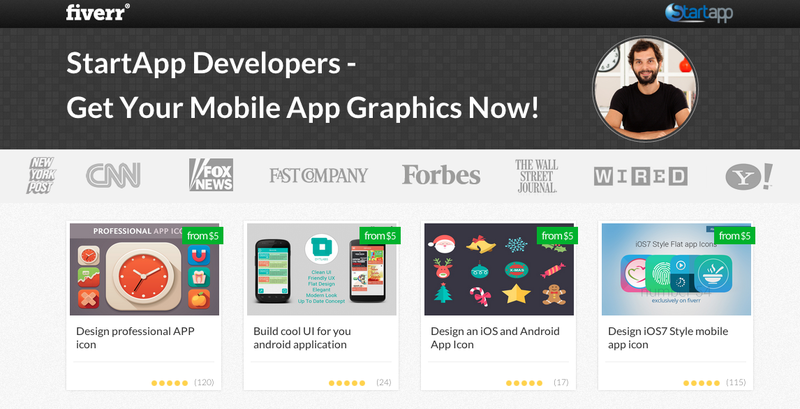 StartApp developers can find app-related graphics on a specific Fiverr-StartApp landing page. When developing a mobile app, the small things count. As users decide within seconds whether or not to download an app, the icon design and other creative elements are among the most important components.